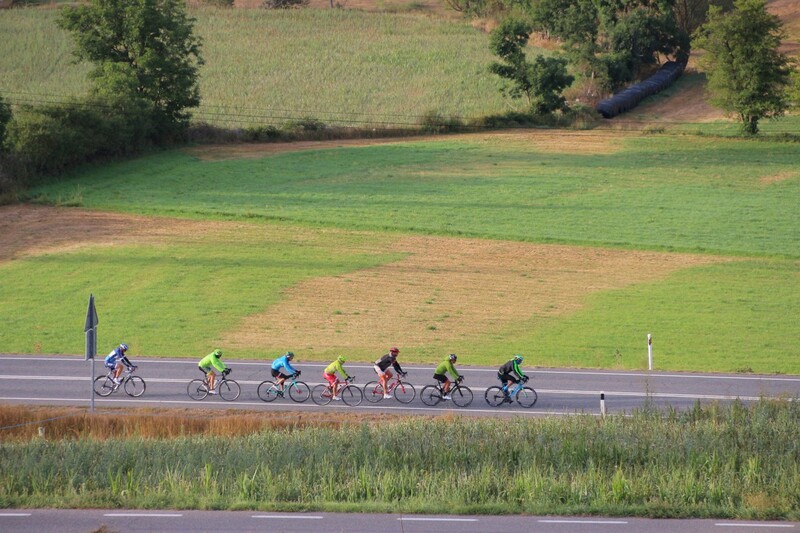 Cycle on secondary road with beautiful landscapes on your way through Catalonia. This cycling route through Catalonia will be accompanied by the excellent Mediterranean climate all the year round. This is ideal for cycling as it allows riders to enjoy the best sensations while you are on your road bike. 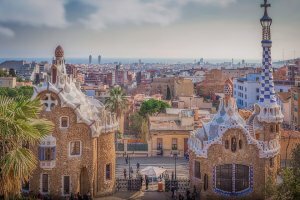 Guided Pyrenees to Barcelona Cycling Tour. Your arrival destination is Barcelona on your second day you will by an transfer travel to the Pyrenees. 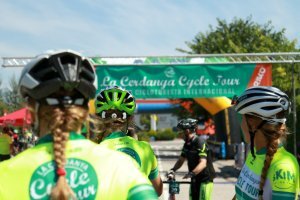 The real cycling start of the Pyrenees to Barcelona Cycling Tour will be in La Cerdanya valley, this is one of the largest valleys in Europe. From here your Cycling Tour starts all the way to Barcelona. 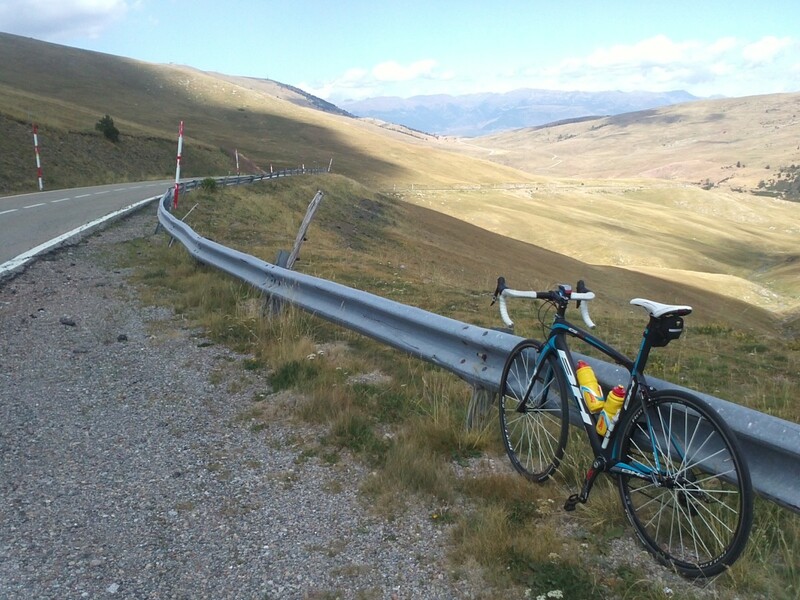 Cycle on secondary road with beautiful landscapes on your way through Catalonia. On your cycling Tour you will cycle some great cols like the Coll de Lles, Coll de la Creueta, La Collada de Toses and La Cerdanya. 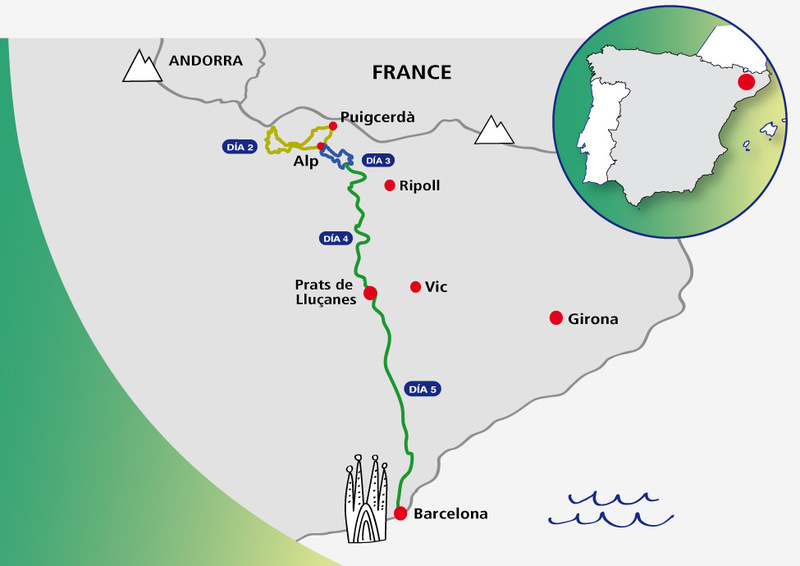 This cycling route through Catalonia will be accompanied by the excellent Mediterranean climate all the year round. This is ideal for cycling as it allows riders to enjoy the best sensations while you are on your road bike. Breath taking scenery are home to the mountain ranges of the Pyrenees. Spain is a real cycling paradise for every keen cyclist, you will experience one of the most challenging routes and mythical climbs. Arrival at the hotel, check-in, briefing of the routes and preparation of the bikes, after that you will have lunch and you will have the afternoon free to stroll or enjoy a bike ride around the area. 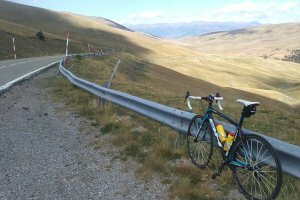 On this day you will leave the hotel to cycle through the western part of the valley, heading towards Alp, continuing through Prats until you arrive at Bellver, along very quiet roads and with hardly any traffic you will arrive at Martinet. You will start climbing up to coll de Lles, arriving at the small and charming mountain village of Ardovol, then you will cycle down to Prullans, where you will stop for lunch and then you will continue the route along the main road until you reach Puigcerda, the hotel and that’s it until tomorrow. Today’s stage will be slightly easier with an 850 m altitude difference spread over 50 km. The point of departure and return will your hotel, from where will head straight to La Collada de Toses with a continuous ascension of 21 km and an average of 3.2%. You will leave the hotel and head towards La Molina ski resort, then you will head to Pla de Anyella, enjoying its spectacular meadows along the way. The next stop will be coll de la Creueta, a category 1 pass and scenario of numerous stages of the Spanish Vuelta, but you will cover the distance downhill. Then you will continue pedalling until you reach Sant Jaume de Frontanyà, one of Catalunya’s smallest villages, but one with an impressive Romanesque church dating back to the 11th century. The route will continue to Prats de Lluçanes, which will be the end of today’s stage, you will spend the night and continue tomorrow. 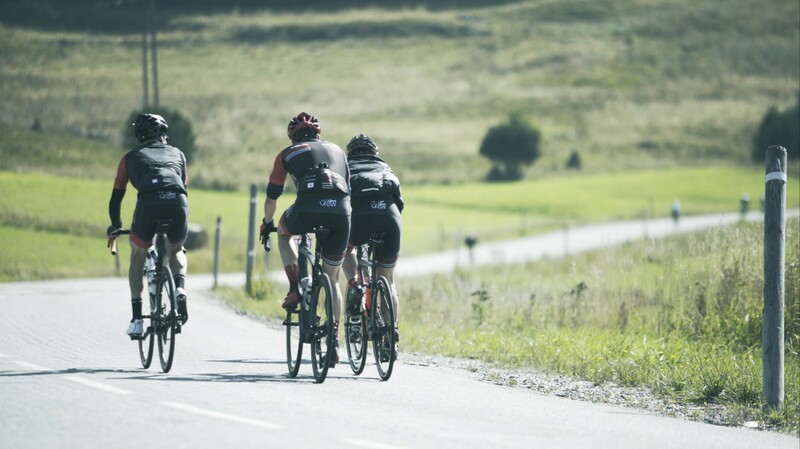 You will leave the hotel early to start the last stage towards Barcelona, along secondary roads, cycling deep into the most remote area of Catalonia, bordering impressive fields of crops and leafy forests. The end of the stage will be at Matadepera, to then go into Barcelona and reach your hotel by vehicle. The most important gateway to/from Barcelona is the international airport 'L' Aeroport del Prat'. There are many regular flights to/ from Europe. The second airport is Reus Airport and it is located 100 kilometres south from Barcelona, nearby the city of Tarragona. This small airport handles only low cost companies. The bus ride is only 14 km away to Tarragona’s city centre. From airport 'L' Aeroport del Prat'. Every half hour trains leave to the main stations in Barcelona. Take the RENFE train line that leads you to Plaza Catalunya, Arco de Triomf or Clot-Arago. Mostly the stations have connections to other metro stations. From Reus airport you can take the train to Barcelona. When the tour operator confirms to us. We confirm to you and charge you’re a deposit fee of € 895 per person plus a € 15 booking fee.